When senior Shirley Webb found she couldn’t get off the floor without help, she knew it was time for a change. People often think that as they grow older they aren’t capable of exercising, or even worse, believe that they should stop. In fact, the World Health Organization says that seniors aged 65 and over should be doing moderate exercise for 150 minutes a week, or alternatively, intense exercise for 70 minutes a week. Stretched out over a period of time, this means as little as 10 minutes a day. 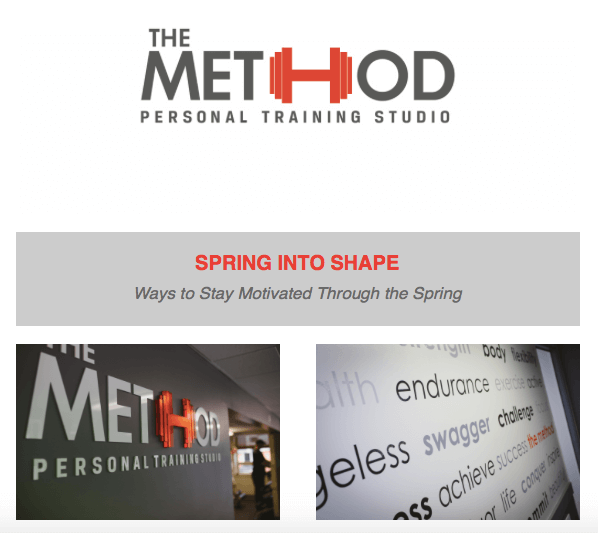 With The Method, you’ll easily be able to fit in a 60-minute training session. The personalized training will benefit those like Shirley, and you too could soon be completing a 225-pound deadlift of your own. The Method will work as you will be provided with a personal trainer at a private gym, allowing you to get the care and attention you need to practice good form when lifting weights. This is vital, as you could seriously injure yourself if you don’t have any guidance from professionals. Shirley actually credits her fitness trainer, John Wright, with her amazing turnaround. She says that Wright was able to assure her that he’d be able to help when she thought there wasn’t anything she could do. Shirley goes on to say that her trainer watches her carefully, making sure her form is good to prevent any injuries occurring, and that she didn’t start off with heavy weights. She used lighter ones to raise her overall fitness level. This is the kind of training you’ll receive when practicing The Method at private gyms with personal trainers who can inspire everyone, Read on to discover tips on how to successfully weigh tlift and train at any stage of life. Webb said she decided to join her gym after going along to keep her 20-year old granddaughter company. Fitness experts say having a workout buddy and a workout group is a great way to stay motivated, pursue your goals, and have more fun while you exercise. Webb told ESPN she wasn’t intimidated at all by her first visit to the gym. The fact that the staff took the time to explain all the equipment to her and her granddaughter cemented her decision to sign up, she said. You’re more likely to go work out if you look forward to being at the gym, so choose a place that makes you feel welcome. There are more than 36,000 gyms in the US, so unless you live in a very rural area you probably have more than one choice nearby. Visit a few before you sign a contract. Shirley Webb gave John Wright, her fitness trainer, lots of credit for being patient with her. She told ESPN that when he asked her to get down on the floor for an exercise, she told him she wouldn’t be able to get back up. Wright assured her he’d help her, and a great fitness partnership was born. Webb said her trainer watches her form carefully to prevent possible injury. An attentive trainer or teacher is necessary not only for weightlifting but also for low-impact workouts like yoga and Pilates where poor form can cause problems. Webb has been quick to remind people that she didn’t start out in “beast mode” but with light weights and a program to raise her overall fitness level. To get where she is now, she simply lifted slightly heavier weights as Wright introduced them. A slow and methodical approach can lead to big improvements over time without the risk of injury from trying to do too much, too soon. Protein…We all know protein is necessary for building muscle and for overall health. Today we are going back to the basics (and a bit further) to share with you how much protein you need and why it is essential for every individual. How many grams of protein do you need per day? The DRI (Dietary Reference Intake) is 0.8 grams of protein per kilogram of body weight, or 0.36 grams per pound. For active individuals, it is widely accepted that you should consume 1 gram of protein for every pound of body weight. Increase your protein intake to increase fat loss and preserve your lean mass. One example of a higher-protein diet for weight loss is 1.4 to 1.5 grams per kilogram of body weight, which is close to twice the RDA stated above. How much protein should you eat to build muscle mass? Higher levels of protein intake, usually in the range of 1.2 – 1.5 grams per pound of body weight is commonly recommended when “cutting” to lose fat. 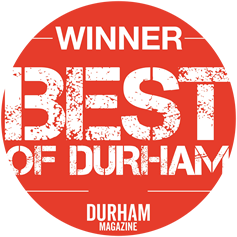 There you have it Durham gym enthusiasts!